Mind Chimes, an interactive dome piece, explores the connection between sensory stimulus and mental state. 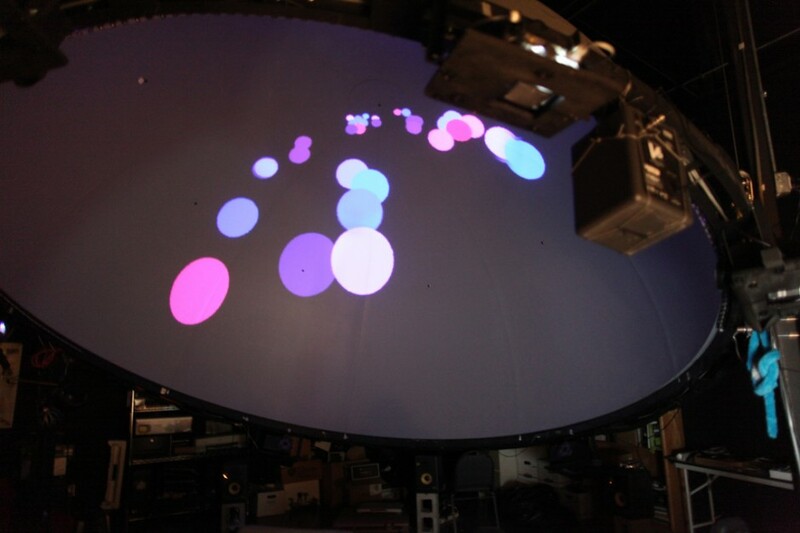 Visuals and sound are generated on the dome by a single user using a live brainwave (EEG) feed. The user can augment the visuals and sound in real time by changing their current mental state. The piece provides everyone viewing it with a mesmerizing experience akin to watching wind chimes on a breezy day - virtual chimes ringing to the breeze of one’s thoughts.